(backlog post from last week, almost caught up! ) 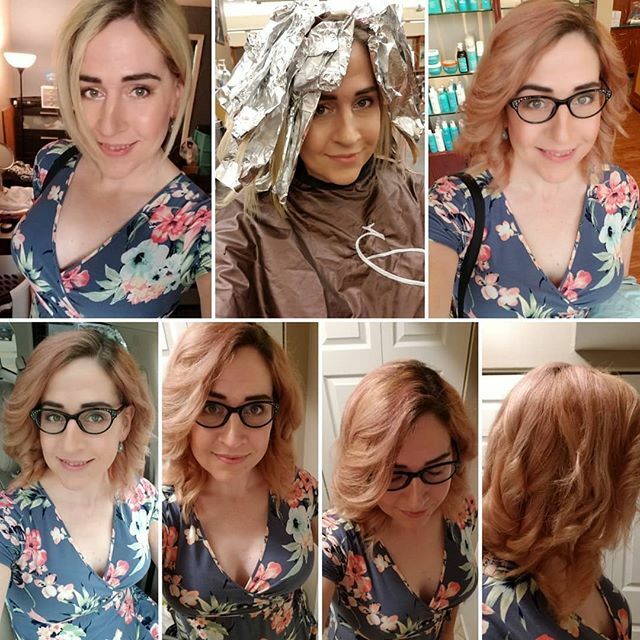 Let’s call this phase one as my colorist (who happens to be a very good friend) and I are talking over a couple of tweaks that we are going to do. The result here I still find very pretty, but it ended up a little more uniform of a color than we were going for. Sometimes you gotta tweak it a bit when going for a big change 😉 I love where this color is going though! More soon!